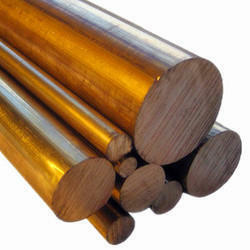 Importer of a wide range of products which include nickel 42 (feni42) alloy 42 rod. Alloy 42 is an iron-nickel alloy containing 42% nickel. It exhibits low thermal expansion characteristics over a range of temperatures, which makes it particularly suitable for use in glass and ceramic seals. It finds application in a variety of electronic components and lead frames. With decades of experience and a huge range of stock, Chandan Steel World is an industry leader in the supply of Alloy 42 and other high quality specialist engineering alloys. Looking for Nickel Alloy ?